In pockets of West Texas, some counties are still waiting to receive a list from the state flagging registered voters for citizenship checks, and at least one other county has declined to discuss if they’ve received a list at all. Late last week, the Texas Secretary of State’s office said it found 95,000 registered voters who might need citizenship checks. The list was created using individuals who provided the Texas Department of Public Safety with documentation that identified them as non-citizens when they signed up for a driver’s license or state ID. Of the flagged individuals, the office said 58,000 had voted at least once between 1996 and 2018. But critics of the agency’s list said, individuals likely became naturalized citizens during those 22 years. Additionally, voting rights advocates this week said the Secretary of State is attempting to intimidate new citizens from voting. The roll-out of the Secretary of State David Whitley’s list has been controversial, as thousands of names initially marked for citizenship checks were found to be mistakes. In Harris County — the largest county in Texas — Houston Public Media reports, 18,000 of the 30,000 names initially flagged were mistakenly placed on the state’s list. In Cameron County, nearly all of the 1,600 names the state sent were placed mistakenly, according to the Dallas Morning News. And in McLennan County, The Waco Tribune-Herald found all 366 individuals that were first marked for checks by the state were found to be a mistake. The Midland County election administrator, Deborah Land, said her office had received a list of 356 names that warranted citizenship checks. But on Tuesday, Land’s office received instructions to comb through the list, and remove anyone who received their voter registration from the Texas Department of Public Safety. Land estimated this cleared about 60 to 70 names from the initial list sent by the Texas Secretary of State. “We didn’t remove a whole bunch, but again, we have not sent letters,” said Land, who is waiting for more information from the state before she proceeds with notifications. In Presidio County, Natalia Williams — the Tax Assessor-Collector — said the county has yet to receive a list from the state. If the office does receive one, she said she’s unsure if she will send out letters to residents flagged for citizenship checks. In Jeff Davis County, the office of Sheriff William R. Kitts, who also serves as the tax assessor-collector, said they have yet to receive any notice from the Secretary of State’s office, but if they did, they would send out citizenship check letters. Questions about whether the county received an advisory from the state went unanswered in Brewster County. Election administrator Lora Nussbaum said she was advised to refer all questions about a citizenship checklist to the Texas Attorney General’s office. In Ector County, election administrator Lisa Sertuche had yet to receive the state’s list. Sertuche said she thinks her office will receive the letter on Friday — nearly a week after the state first announced the voters flagged for citizenship checks. 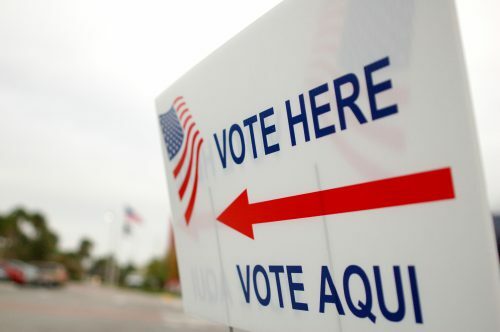 The Civil rights group the League of United Latin American Citizens has sued the state over the controversial list, arguing the state violated the Voting Rights Act. This entry was posted in KRTS News and tagged Elections, Texas Secretary of State. Bookmark the permalink.